Another company that aims more for the collectors market, only two orcs, both of which are obviously inspired by LoTR, are available here, but they are both rather good! 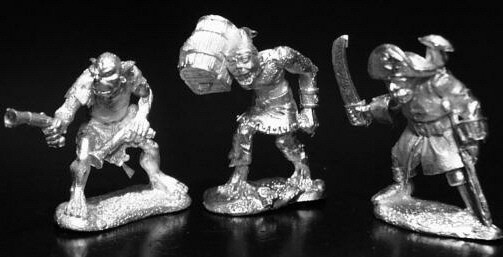 Denizen's figures seem to be aimed primarily at roleplayers, and, although cheap, their small group of orc sculpts seem pretty poor, with stiff poses, unimpressive sculpting and boring faces. 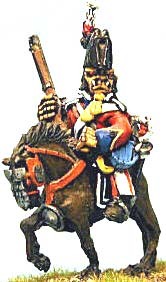 One of the most bizarre things that you're ever likely to see is an Alternative Armies orc, clad, as he is, in full Napoleonic gear, complete with musket, and with a monocle gracing his brutish features. Great fun, and surprisingly good (and numerous) figures! 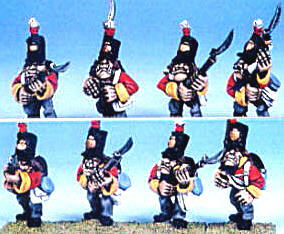 In case you were wondering, Alternative Armies also produce Napoleonic Elves for you to duff up. 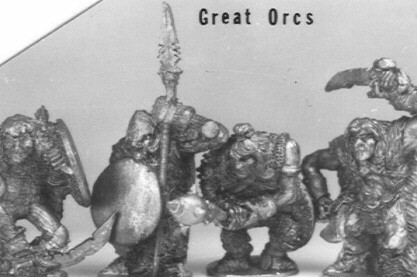 Unfortunately, some of the more recently-sculpted orcs are pretty appalling. 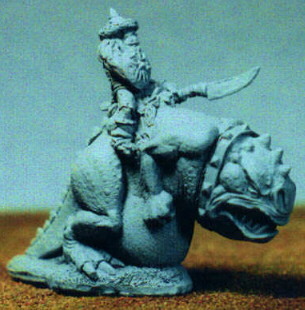 And from Napoleonic orcs we move to… World War II orcs! Unfortunately this range is both rather small, and not particularly impressive, so don't get overly eager about refighting D-Day with orcs and elves. 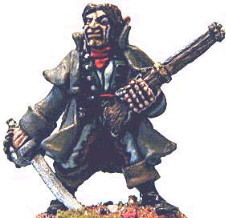 RAFM have created an eclectic mix of fantasy, sci-fi and piratical orcs, all of which are rather good, which makes their pitiful numbers rather sad. 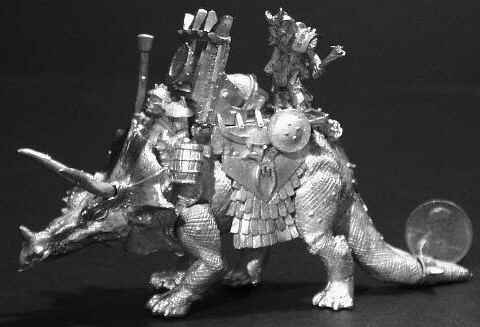 The 'war triceratops' is a particularly wonderful creation. Their own site is currently still under construction, but pictures are available at Discount Hobby. An absolutely huge range, with a full 42 variants, the Asgard orcs may be a bit old, but they've dated pretty well. Heavily armed and armoured, with squat, powerful frames, and crammed full of character, these are everything orcs should be, and they're not massively expensive either! Currently manufactured by Viking Forge, their only major flaw is that they don't seem to have been made with ranking-up in mind! Older than the hills, these are still great figures, although the casting quality can be suspect due to their great age. Quite a few of these are still available from Amazon. 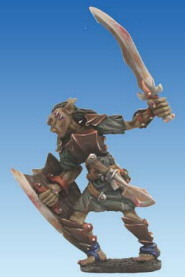 The moulds are currently owned by EM-4 Miniatures, and will hopefully be re-released eventually. 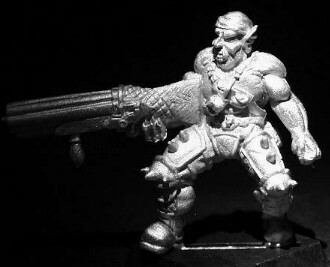 Grenadier also has some half-orcs, sculpted by Mark Copplestone, which, unlike Nick Lund's sculpts, have been bought by Companion Miniatures, who are currently in the process of repairing and re-releasing them. These are also jolly good figures and well worth a look, although Companion's prices are fairly steep. 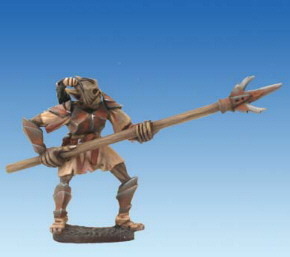 Lance and Laser's Grimuks and Hobgoblins, both of which can be used as orcs, are rather pricey, and few variants are available. 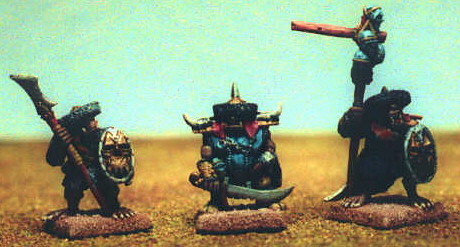 Most of the Grimuks (sculpted by Sandra Garrity) are acceptable, but the Hobgoblins and a few of the Grimuks (which are the creations of Kevin Contos), are much weaker, and there isn't a slottabase in sight. Ten variants in total, these are usable, but not brilliant. I rather like 'em. Grendel produces a fairly small range of rather unexceptional, if perfectly usable, orcs, which can sometimes be seen atop fairly unimpressive 'carnosaurs'. Unfortunately, all the infantry figures, with the exception of the command set, which is pretty good compared to the rest of the range, only come with duplicates. They should mix quite well with Armalion's orcs, given the hats!